SMITH/Associates has cultivated an extensive global network of talented professionals to work with Federal and local government agencies as well as private sector clients. It takes great employees to make a great company. We have recruited and retained an outstanding workforce of talented, hard-working and dedicated professionals. Many positions are for Federal government contract jobs. 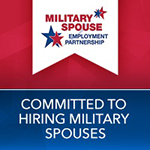 Experience working with DoD, EPA or other governmental agencies preferred, but not required. SMITH Employees appreciate the challenging responsibilities and diverse work environment. If you are an exceptional, motivated individual looking for an opportunity to grow and make a difference, we invite you to take a close look at what SMITH/Associates can offer you. I really enjoyed my time working with SMITH, they were always extremely professional and very friendly. As a smaller company, I always felt they had my best interests in mind when making employment and contract decisions. SMITH management also understood that I have a life outside of work, so they were always understanding of the various family obligations outside of work. By the time I left, I really felt that SMITH had become an extension of my San Antonio family. Working for SMITH has been a pleasure and privilege. The company provides the necessary resources for their employees to perform their duties at the highest level, and it puts them in a position to not just succeed, but to excel in providing outstanding service and expertise for its clients. SMITH also genuinely cares about the health and welfare of its employees, and it goes the extra mile to ensure their happiness. SMITH management genuinely cares about its employees. Their commitment to their employees is unwavering and they provide the tools and resources we need to not just succeed but to excel in meeting the clients’ needs. Working for SMITH has provided me the flexibility and direct support to tackle emergent issues of my clients. Through the accessibility of vast subject-matter experts, I am able to create full-spectrum solutions to solve my client’s projects quickly and accurately. These tools have ensured a rewarding experience at SMITH and have removed any glass ceiling concerns I had at other employers.